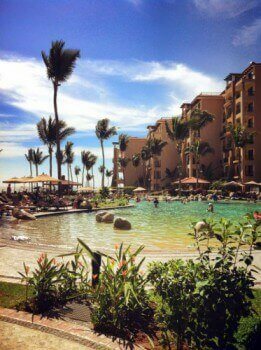 If you’re looking for a cheap all-inclusive vacation package to Mexico you should check out Discount Vacation Hotels. This budget vacation website offers some of the best price all-inclusive deals on Mexican getaways. No scams, no hidden fees, no fuss. Discount Vacation Hotels offers incredible deals on all-inclusive vacations in Mexico. The reputable leisure company offers deals on destinations such as Cancun, the Islands of Loreto, Puerto Vallarta, and Cabo San Lucas. Check out the best price all-inclusive deals featured on its website, and you’ll see that the vacation of a lifetime could be just a click away! Discount Vacation Hotels offers best price all-inclusive deals that are great even when compared to those offered by other budget websites. Don’t worry, though, Discount Vacation Hotels is not a scam! There are two main reasons as to why the deals on offer are so unbelievably good. Firstly, Discount Vacation Hotels only offers deals in Mexico so it can specialize in getting the very best price all-inclusive deals. Secondly, in return for these great offers you will be asked to attend a no-obligations sales presentation. What’s so great about going all-inclusive? Well, for a start, you’ll find that it’s much cheaper in the long run, especially if you spend a lot of time at the resort. This is because your meals, snacks, and drinks for the duration of your stay will have already been taken care of. Additionally, this means that you can set a lower budget for spending during your vacation, and can really limit how much it costs overall. If you want to book the best price all-inclusive Mexican vacation with Discount Vacation Hotels then you should call 1 877 606 0014 to speak to an agent. This call is free. You will find that vacations, especially for larger families, will be much cheaper, in fact you can take a family of four on vacation from as little as $299 USD for 5 nights! You won’t find a better all-inclusive deal in Mexico, that’s for sure! Why are people still buying timeshares and joining vacation clubs?